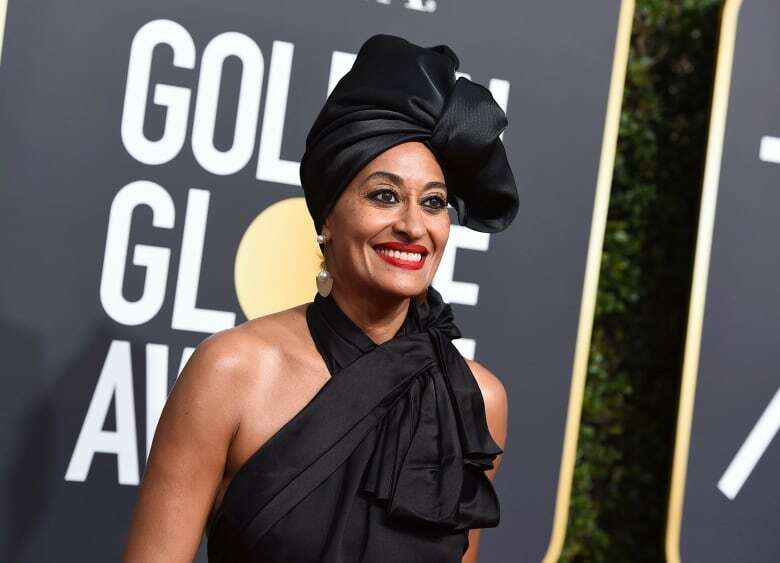 The highly anticipated wear-black protest at the Golden Globes took off Sunday as soon as the red carpet opened. Michelle Williams appeared in an embellished off-the-shoulder look with "Me Too" founder Tarana Burke at her side. 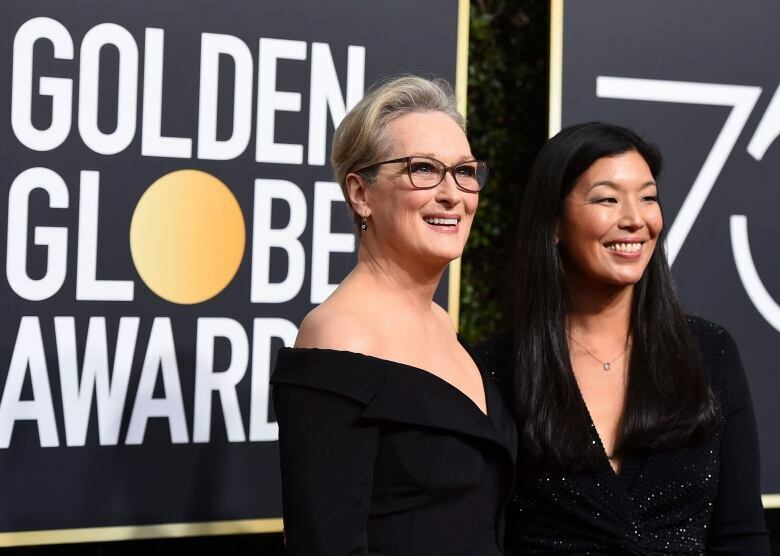 "I think she'd be over the moon," said Streep, who portrays the famed publisher in The Post. 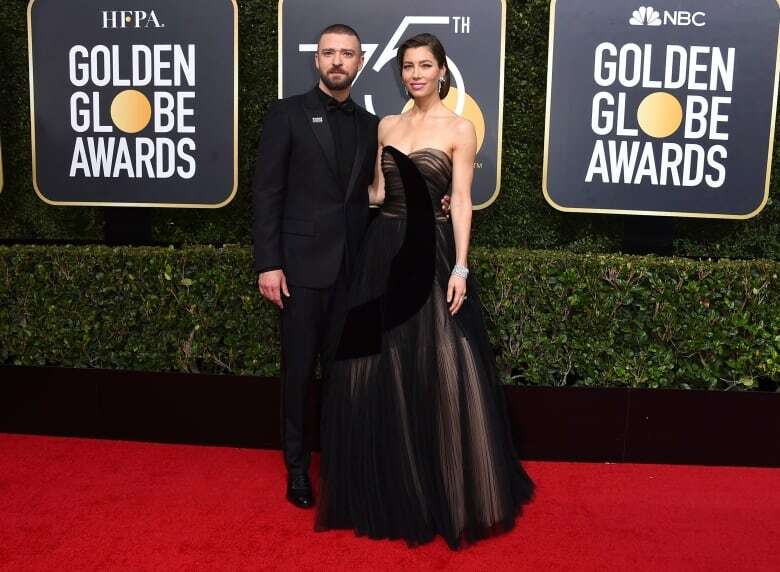 The protest that turned the Globes dark on the fashion front had been anticipated for days after a call for massive reform following the downfall of movie mogul Harvey Weinstein and numerous others accused of sexual misconduct in Hollywood, media, fashion, tech, publishing and other industries. The new initiative Time's Up, backed by more than 300 women in Hollywood, doled out pins intended in part for those who might already have locked in more colourful looks. Though the red carpet was dominated by black, actors made it their own: Allison Williams provided a pop of orange and silver on the bodice of her black Armani Privé column gown. Singer Kelly Clarkson sported gold at the neck and on one sleeve of her black Christian Siriano dress. Jessica Biel kept the fairytale alive in a strapless Dior with dainty sheer embellishment. 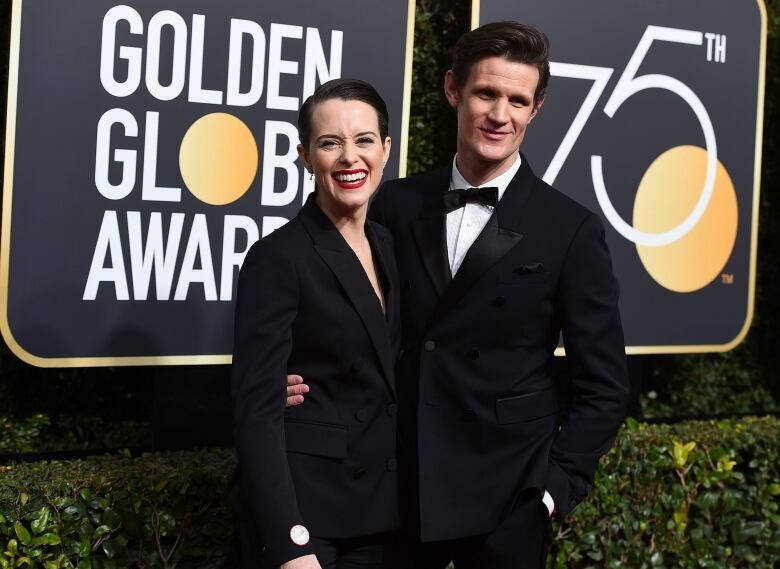 Claire Foy of the Netflix series The Crown went with a black pantsuit and Tracee Ellis Ross accessorized her black jersey halter dress by Marc Jacobs with a matching headscarf. Catherine Zeta Jones wore a couture, sheer lace Zuhair Murad A-line gown. Margot Robbie, star of I, Tonya, wore a custom Gucci black satin V-neck gown. Susan Kelechi Watson, of This Is Us, earned some social media attention for a low-cut trouser combo from Monsoori. It sparkled in the night's top colour. One of the bite-sized stars of Stranger Things, Sadie Sink, joined the black protest, paired with Chopard jewels. 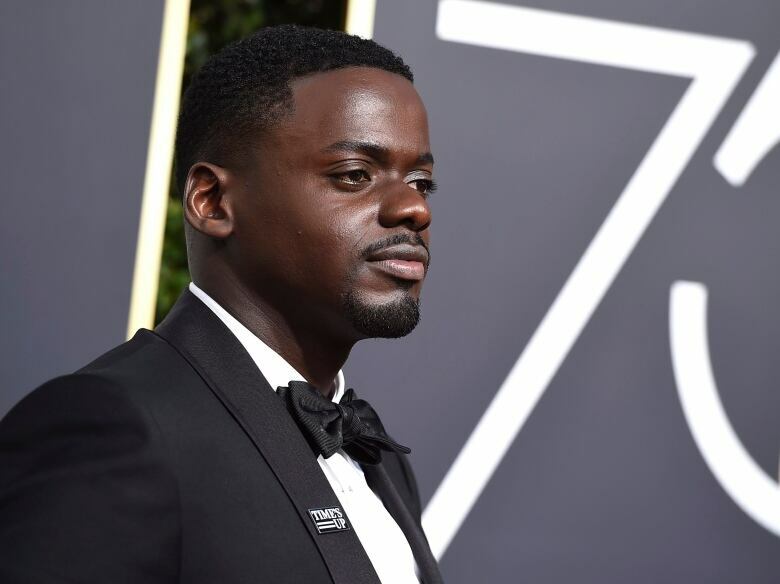 Daniel Kaluuya, star of Get Out, supported in a black tux with a Time's Up pin on his lapel. He said he feels privileged to stand by the women fighting against the unnecessary evils that are happening in the industry. Alison Brie, nominated for her Netflix wrestling show Glow, wore a dramatic strapless black dress with a sweetheart neckline. She thinks change will come when more women are in power at the top. Alfred Molina was among those men who paired their traditional tuxedos with black shirts rather than the typical white ones. So did David Harbour of Stranger Things. While the sea of black was unprecedented, the colour is not a red carpet newbie during awards season. Emma Stone, among those in black Sunday, wore the colour to the 2015 Golden Globes, a stunning trouser look with a studded silver top and a black back bow and train. Nicole Kidman has worn the colour to the Globes several times, including a lace column gown with a high slit and a little black choker in 2002, offering a rock vibe from Yves Saint Laurent.